The Executive Office is responsible for liaison with executive and legislative branch officials and agencies, submitting a budget to the state Legislature on behalf of the Judicial Branch, supervising the divisions of the Administrative Office of the Courts (AOC), supporting the administrative activities of the Arizona Judicial Council and carrying out the strategic agenda of the Chief Justice. The Administrative Services Division's major responsibilities are the preparation and oversight of appropriated state funding for the judicial department, financial services, legal services, Human Resources and facility management. The Adult Probation Services Division oversees the effective statewide administration of adult probation programs and services in accordance with statutory and administrative guidelines. 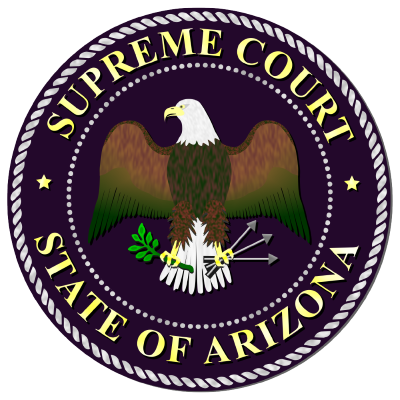 The Certification and Licensing Division develops and administers certification and licensing programs for the Arizona Supreme Court. Division staff develops rules and policies including registration processes, qualification requirements, training, continuing education, codes of conduct and disciplinary processes. More information about this division. The Court Service Division is comprised of six units: Automated Services, Caseflow Management, Consolidated Collections, Court Operations, Court Programs, and eCourt Services. The programs administered by the Dependent Children's Services Division are designed to ensure that the best interests of Arizona's dependent children are served by providing a system of information, advocacy and review. Online divisional resources. The Education Services Division is responsible for maintaining a statewide system of judicial education and overseeing compliance with judicial education standards. The Information Technology Division's responsibilities include providing solutions to challenging information technology problems facing the Court. The Juvenile Justice Services Division is responsible for the effective administration of juvenile justice programs for delinquent and incorrigible youth in coordination with the juvenile courts.